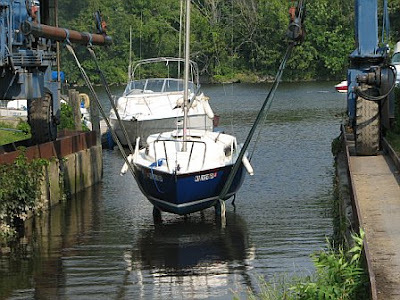 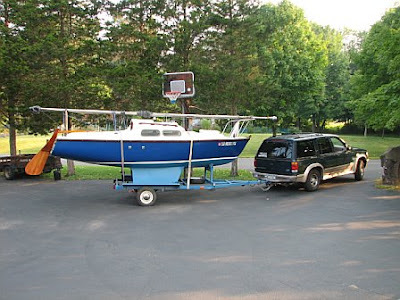 "After 5 years of holding down a piece of my driveway, I finally spent much of the past two months getting her restored enough to launch her in Kingston, NY . 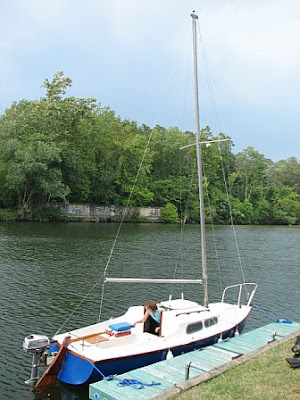 Her maiden voyage was a 14 mile trip up the Hudson River to our place on the Esopus Creek in Saugerties, NY. 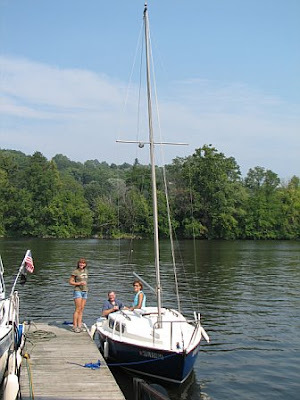 Now that she's in the water, I'll be making some decisions about depthsounder transducers and location of bilge pumps."